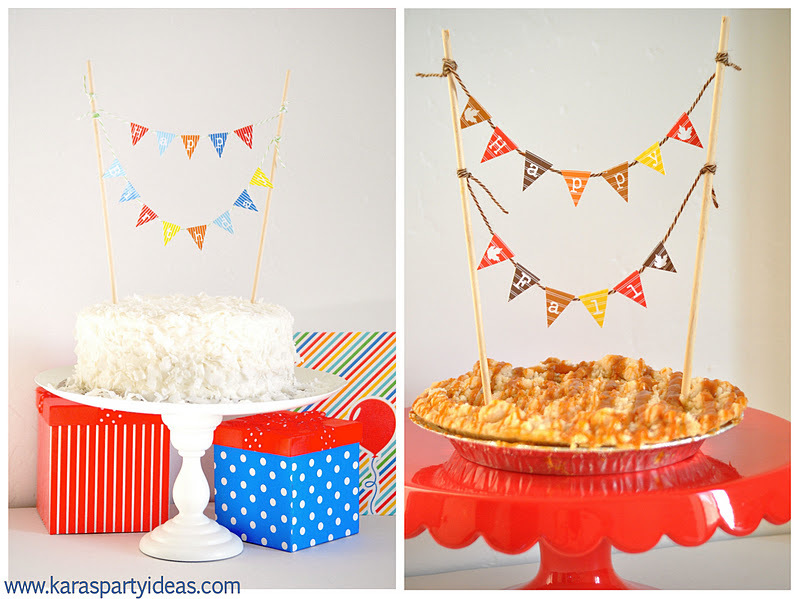 Kara's Party Ideas | Kids Birthday Party Themes: FREE- Mini Cake Pennant Bunting for Thanksgiving, Fall & Birthday's! 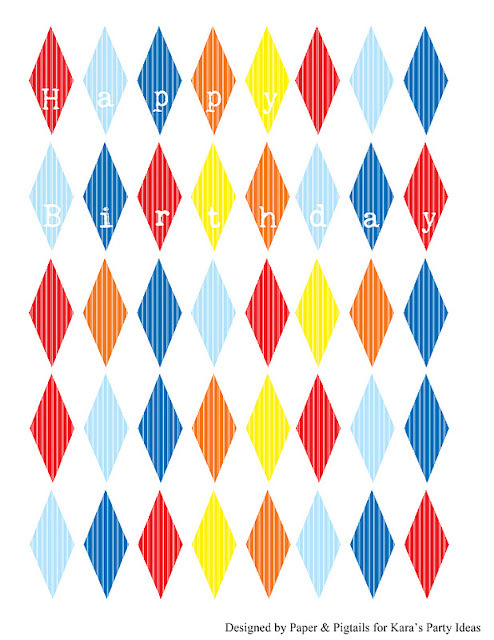 Kara's Party Ideas | Kids Birthday Party Themes: FREE- Mini Cake Pennant Bunting for Thanksgiving, Fall & Birthday's! FREE- Mini Cake Pennant Bunting for Thanksgiving, Fall & Birthday's! Being that it's November, the month of Thanksgiving, I wanted to take a moment and THANK ALL OF YOU, my wonderful fans & readers, for your support, love & following! I thought you would all enjoy something fun & FREE! 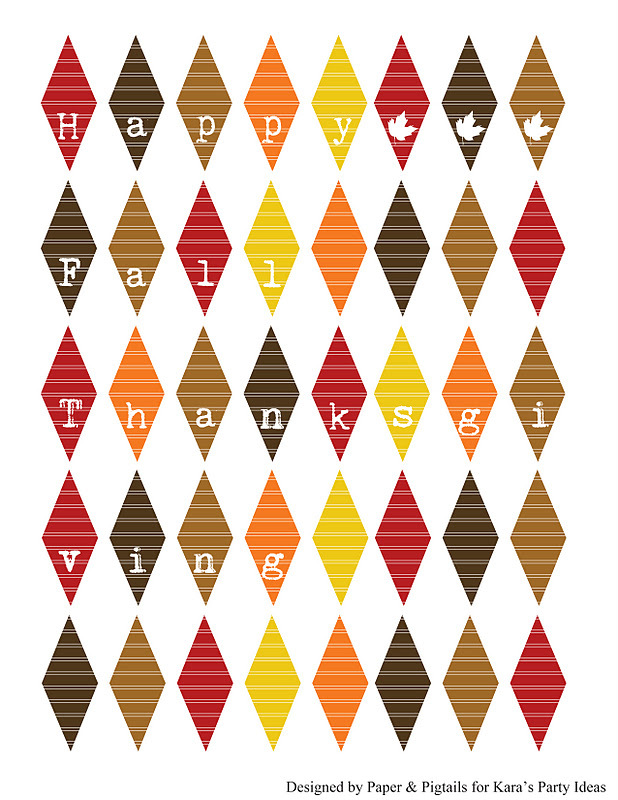 Enlarge and print these adorable Happy Birthday, Happy Thanksgiving and Happy Fall mini cake pennant banners...designed exclusively for me & my fans by the sweet Kori of Paper & Pigtails. These darling bunting flags are a perfect an inexpensive way to decorate a birthday cake...or even a Thanksgiving dessert! The coordinating alphabet also comes with each set...so you can spell out whatever you would like! Just print, cut & attach to yarn or string in between two dowels, skewers, candles....you name it. Kara! The photos and styling turned out so adorable! I love it all! You are the best! Thank you for thw whole alphabet! Thank you Thank you! Just what I needed for a dino party :) Hehe. Thank you!! I LOVE these!! Now I'll have a great addition to my Thanksgiving pie! !